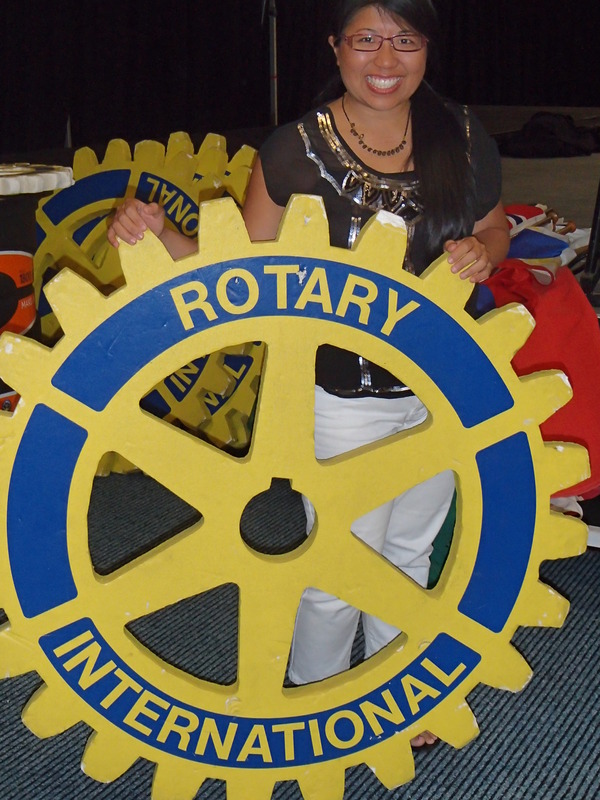 Rotary’s main objective is service — in the community, in the workplace, and around the globe. 1.2 million Rotarians make up more than 34,000 Rotary clubs in nearly every country in the world who share a dedication to the ideal of Service Above Self. District 6760 encompasses Rotary clubs from all over Tennessee. There is a great Rotary presence in the Nashville area. Because of Rotary District 6760, the Rotary Club of Green Hills and my mentor Brian, a former Rotary Ambassadorial Scholar, I am so grateful to the Rotarians for choosing to support me as their Ambassadorial Scholar for 2012-2013. The Rotary Club of Green Hills is very active in the community and I was able to help volunteer with them pack Thanksgiving boxes for families in need at Second Harvest before my departure. They meet every Friday at 7:15am at Nero’s Grill and would love for you to join them. Members of The Rotary Club of Green Hills are part of a worldwide network of over 1.2 million men and women who make a difference in the lives of people in their communities and around the world. Rotarians work together to find solutions for issues of poverty, illiteracy, clean water, environmental improvement, hunger, disease and many more. Rotarians in the Rotary Club of Green Hills seeks local business and community leaders who are attached to the principle of service before self, and who embrace the four-way test–truth, fairness, goodwill, and beneficial community action–as a way of life. They value diversity, fellowship, and service. It is clear that Nashville Rotarians are making a real change in Tennessee and abroad. For more information about the Rotary Club of Green Hills, click here. For more information about District 6760, click here. If you are unfamiliar with the Rotary International organization or would like more information on how to join a Rotary club in your area, please feel free to check out their website. Thank you so much for stopping by my blog. I’ll be attending the Rotary meeting tomorrow morning at Nero’s and giving an update about my time in Australia thus far. I would love to meet you. Let me know if you’ll be attending. We have so much to discuss. Have a great day.